Product categories of Silicone Kitchen Utensils Set, we are specialized manufacturers from China, Silicone Kitchen Utensils Set, Kitchen Tools And Utensils suppliers/factory, wholesale high-quality products of Cooking Utensils Set R & D and manufacturing, we have the perfect after-sales service and technical support. Look forward to your cooperation! Silicone Kitchen Utensils Set Easy Using and Cleaning: Simply wipe under hot water or throw them in the dishwasher. Silicone Kitchen Utensils Set Family Safe: silicone cooking utensils are 100% Food Grade Silicone with FDA/LFGB Approved, completely safe for your non-stick cookware. 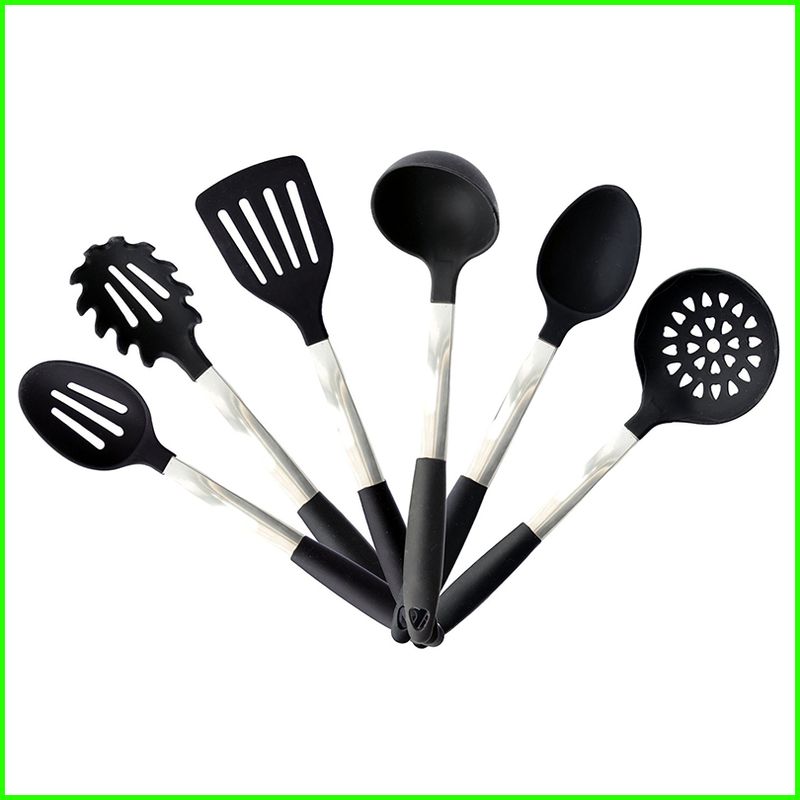 Silicone Kitchen Utensils Set Awesome Quality: Heat resistant to 445 F, silicone utensils are made of ultra durable and sanitary silicone, they will handle years of stress in the kitchen. Silicone Kitchen Utensils Set All In One Set: 6 silicone kitchen utensils are included: Slotted Turner (14.25" x 3.25")/Spoon (13.5" x 2.75")/Slotted Spoon (13.5" x 2.75")/Spaghetti Spoon (13.5" x2.75")/Ladle (12.5" x 3.5")/Slotted Ladle (14" x 4.5"). each item per poly bag and then packed into carton.